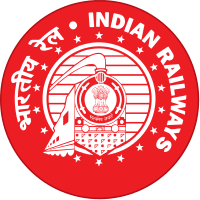 East Central Railway Recruitment 2019 – ECR Job notifications for 2234 vacancies of Trade Apprentices in various trades. The detailed eligibility and application process are given in below. Educational Qualification: The candidate must have passed Matric/10th class examination or its equivalent (under 10+2 examination system) with minimum 50% marks in aggregate, from recognized Board and ITI in relevant trade (i.e National Trade Certificate in the notified trade issued by National Council for Vocational Training or Provisional Certificate issued by National Council for Vocational Training/State Council for Vocational Training). Selection for Apprenticeship training will be on the basis of merit list prepared in respect of all the candidates who apply against the notification. The merit list will be prepared taking the average of the %age marks obtained by the candidates in both Matriculation with minimum 50% (aggregate marks) and ITI examination giving equal weightage to both. verification of original documents and being found fit in appropriate Medical examination. How to apply for East Central Railway Recruitment? All interested and eligible candidates apply for this position in online latest by 10 January 2019.